PTS is a system of safer working practices employed within the UK that is designed to ensure the safety of railway workers who are going to work on or near the line. The PTS Courses (which is where any rail maintenance career begins) can only be attended after the successful completion of the PTS Medical and a Drug & Alcohol Test. These tests are the requirements of NetworkRail for obvious safety reasons and are compulsory. A valid PTS Medical and PTS Drug & Alcohol are required throughout your entire rail career. Any potential employee must undergo a PTS Medical and a Drug and Alcohol Test before attending a “Personal Track Safety” course. ARC Medical are registered appropriately and regular audits are undertaken to ensure that we meet the quality control levels for the specific standards of performance and training needed to reliably undertake the medical assessments. Where an individual fails to meet the specific medical standards on the day of the medical, depending on the issue, it is still sometimes possible to ask the candidate’s G.P. for a report. This can then be used to issue a PTS Medical Certificate – this is sometimes the case, for example, where candidates show high blood pressure on the day of the medical. The object of the medical assessment is to ensure that employers meet their duty of care so that individuals working in this potentially dangerous environment are not subject to increased risk of harm to themselves or their colleagues, or in some cases members of the public, due to any foreseeable underlying medical condition. NetworkRail operates a zero-tolerance policy on Drugs and Alcohol. 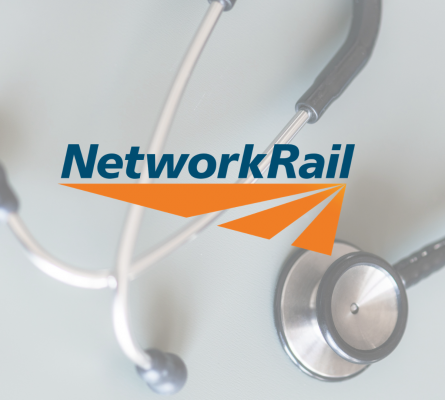 If you return a “Positive” (Fail) result from your Drug & Alcohol test, your Sentinel Card will be cancelled and you will be prohibited from working on any NetworkRail infrastructure for a period of five years. This applies to new workers as well as workers who have worked on rail for many years. We are able to conduct PTS Medicals at our conveniently located facilities, throughout the UK – or alternatively (subject to minimum numbers) we can come to you. How can I book a PTS Medical..? Give our Medical Division a call, or, drop us a line by clicking the link beow and we’ll get right back to you.